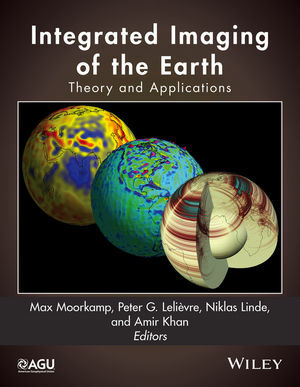 Max Moorkamp is a lecture in Geophysics in the Department of Geology at the University of Leicester in UK. He is currently the Associate Editor for Journal of Geophysical Research. Editor has published extensively in AGU, GRL, and JGR journals. Peter Lelièvre is a Research Scientist in the Department of Earth Sciences at the Memorial University of Newfoundland in the Newfoundland and Labrador Province in Canada. He has a few publications in the Wiley Geophysical Journal International. Niklas Linde is an Associate Professor in Environmental Geophysics at the University of Lausanne (UNIL) in Switzerland. He has published extensively in AGU GRL and WRR journals and got a paper accepted recently in Wiley Wires Water journal. Amir Khan is a Senior Scientist/Lecturer in the Institute of Geophysics in Zurich, Switzerland. He has also published in AGU journals JGR, GRL and G-cubed.